I was hired to do data entry for two and a half weeks back in December. I jumped at the chance, simply happy to be working, to make a paycheck and get up and out of the house every day. I loved every minute of those short weeks, bored as I was, and two and a half weeks turned into three months of the best job I have ever had. 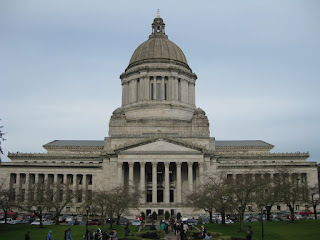 I worked for the Public Policy department of Community Health Plan, specifically with their grassroots advocacy program, Save Health Care in Washington (savehealthcareinwa.org). The data entry I did functioned to process the messages that over 25,000 Washingtonians sent to their legislators regarding the state of the safety net health care programs that cover over 100,000 people who otherwise have no health care. Because of this, the first few weeks that I spent doing mindless data entry were so much more. I cared deeply about what I was doing, and realized the impact it had. When they hired me on for the rest of the legislative session my responsibilities expanded greatly - mostly involving writing and communication work. I helped film, edit and produce a video that told patient stories to legislators and lobbyists. I wrote letters to the editor on behalf of my Assistant Vice President. I created communication plans, talking points, powerpoints etc. I also stepped far out of my comfort zone by being the 'cell phone person'. During critical points of the session, I went to various community health care clinics throughout the state, met patients, heard their stories and encouraged them to phone their legislators right then and there. I was that girl, cell phone in hand, asking people to call. Before I started the cell phone program I was intimidated. But from the moment I approached the first patient my anxiety disappeared. I wasn't asking for money, nor was I coercing them to do something they didn't want to. What I was doing was educating and empowering these people. I would explain to them the proposed budget cuts, answer their questions and inform them that contacting their legislators actually made a difference. I would encourage them to call - about anything. It may sound silly and obvious, but to many of these people the idea that they have a voice is new to them. This is the root of democracy, and democracy is a beautiful thing. So while many days were largely discouraging in numbers, I loved what I was doing. 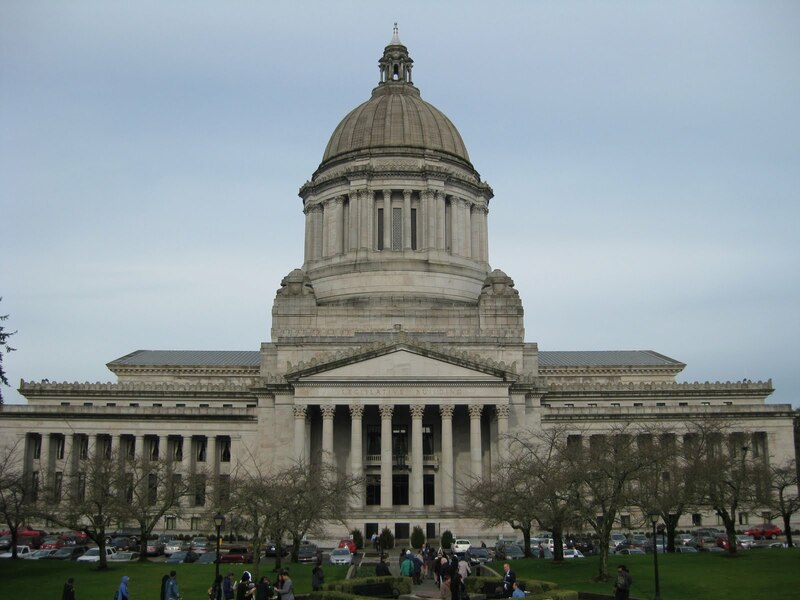 My team and I spent two days down at the Capitol in Olympia, coordinating meetings between clinic managers, patients and their legislators. We also attended rallies, town hall meetings and the like. All this to say, this job was right up my alley. But alas, nothing lasts forever. Once the legislative session wrapped up, so did my time at CHP. I will still do the occasional marketing event for them, but I'm no longer heading downtown every day. I miss working, I miss the office, my coworkers, the direct-trade and organic coffee, the bus ride and walk downtown, the lunch breaks, coming home after a long day at work, the intellectual stimulation and the paycheck. But most of all, I missed spending each day doing something I loved and knowing that I was making a difference. When the regular session ended, both the house and the senate had restored most of the funding to Basic Health (health care coverage for the working poor - those who don't have employer provided care and who can't afford it otherwise), GA-U (temporary assistance to those deemed unemployable due to mental health and disability), Medicaid optional services (dental and other), maternity support services, interpreter services and health care for kids. They headed into special session to iron out the details of the budget and the revenue package. Yesterday I learned that it is finalized. These important services have been maintained at current levels (took huge hits last year) preserving these basic health services for over 100,000 Washingtonians. There are still roughly 900,000 people in this state who have no health insurance, and much remains to be done. As for me, I'm just grateful. Grateful for the job, the paycheck, for the expanded horizons. How great to have a job that merged my passion for politics and advocacy. It's too bold to suggest that I have a clear view of my future career path, but perhaps not too bold to say that I'm starting to dream.